I want to talk about healthy as a culture, not a singularity. To be healthy is not to find one way of being and then, do that behavior (not drink, not act out, not see the PoA, etc.). That is often not enough. 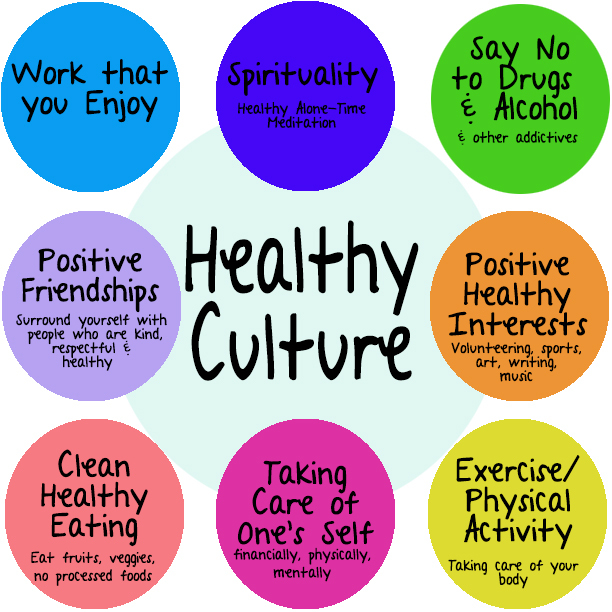 Creating a healthy person means surrounding yourself with healthy people, healthy work and healthy activities. In AA when recovery is underway, they suggest you “change people, places and things.” Don’t hang out at the bar anymore, ditch the drinking buddies and get rid of the alcohol bottles from your home. When you make choices like that, you stand a better chance of recovering. For love addicts, we need to do the same. We need to find healthier people to hang around, we need to create a better home situation (one of peace, respect, kindness, happiness). We need to take our work, job and careers more seriously and if necessary, find work that is meaningful and positive. Working in a fitness center or a bar where the atmosphere can be superficial and meat-markety might not be the best career choice for a love addict. The same can be said about our interests. Reading romance novels, listening to love songs, watching love stories in films is not the best way to shake yourself free of romantic/fantasy notions of what a real, healthy relationship can and should be. Finally, if part of your unhealthy lifestyle entails staying home, filling in your time with hours of fantasy, you need to get out of the house and “do.” Put down the cell, quit checking your text messages and social media sites and walk, swim, shop, drive…Do. Be. Surround yourself with healthy activities and people. And lose the excuses. If you can’t quit your job or leave a marriage, try to create a healthier atmosphere right at your desk or in your home where you live and work. Go to therapy. Take a different route down the hall. Hang out with a more positive crowd. Create a space in your home that is “sacred” and only let positive things and people in this room (including you!). Figure out a way to improve your environment so that your environment is a healthier one.